Las Vegas marijuana sales represent the vast majority of cannabis-related sales in Nevada. However, most of Nevada’s tax revenue is pumped in through Sin City anyways so that should not come as a surprise to many people. Las Vegas dispensaries surround the strip and tourists are loving it. 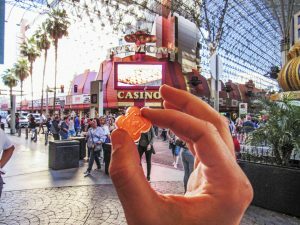 If Vegas was not enough of an attraction for people around the world already, weed is putting it over the top and Nevada marijuana tax revenue proves it. After the first official fiscal year of adult-use marijuana sales in Nevada, tax revenue ended up 140% of projections, making the Silver State the weed king of the country. Referring to Nevada as the Green State would probably be going too far though. After June numbers came in, Nevada has produced $69.8 million in tax revenue from the sales of cannabis. It is truly amazing and looks to only be getting better as the last four months were the best. 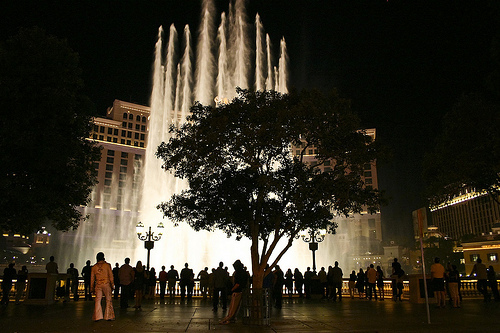 The more tourists learn about the Las Vegas marijuana industry the more they are curious. News is that the police are permitting public consumption even though it is illegal and the fact that a dispensary is likely just a block away in either direction is certainly helping. While the city may have struggled a little in the beginning with its infrastructure, it seems to have figured it out. Consumers can find an incredible variety of marijuana strains in Las Vegas dispensaries. A cannabis store may sell edibles of all sorts including marijuana infused candies, trykes, tinctures, sublingual tabs and drinks. A Las Vegas marijuana dispensary will also offer a wide variety of strains in flower form and as concentrates such as wax and shatter for dabbing. We have every reason to believe that the growth of the cannabis industry in Nevada is going to continue to expand. The approval of marijuana legalization continues to climb throughout the country and the normalization of cannabis consumption is spreading as well. As people learn more about the plant and compare it to commonly consumed recreational substances like alcohol, caffeine and nicotine, the more they realize that of all of them marijuana consumption seems to be the most harmless in terms of health. There are jobs to be had from the new industry and it is projected to rival the alcohol industry in size. The State Distributive School Account received a $27.5 million transfer from the Nevada Department of Taxation as well. The opportunities for marijuana seem to be nearly endless. It is not only here in the United States either. Many European countries are legalizing very permissive medical marijuana markets. Canada became the first G7 country to legalize the wide use of recreational marijuana earlier this year and Uruguay legalized adult-use cannabis as well. Australia is looking to expand its medical marijuana laws and the country of Georgia has also legalized adult-use. However, Las Vegas marijuana is setting the standard worldwide. If the state officials could ever bring themselves to allow marijuana cafes similar to what can be found in Amsterdam, that would be a massive tourist draw for Las Vegas.